📅 📅 April 2016 September 19, 2017 by Bruno B. 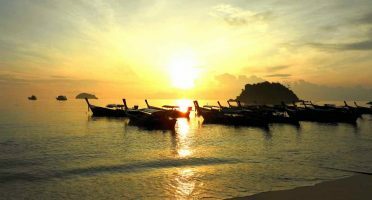 Looking for the perfect island in Thailand with fewer crowds and clean waters to truly unwind without compromising on BASIC services can be like searching for a needle in the haystack. 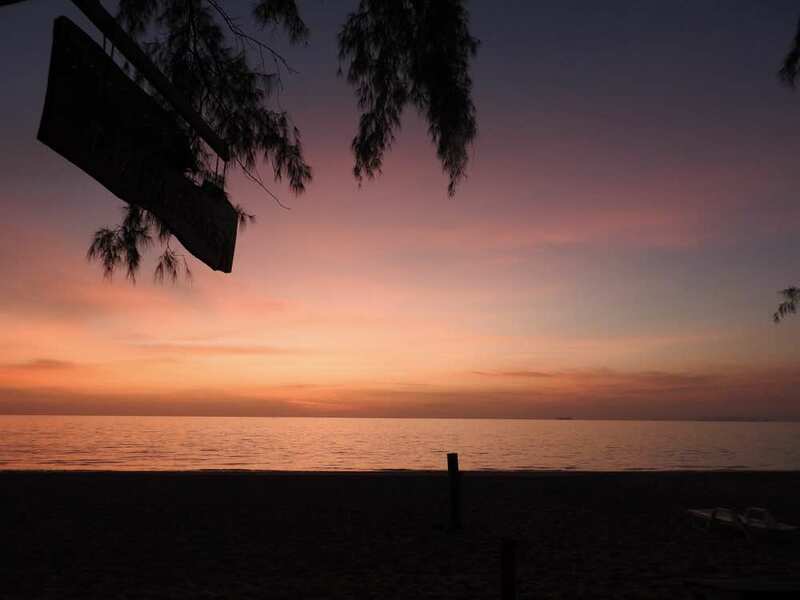 Fortunately, there are still some places to go and Koh Lanta is one of them. Check this Koh Lanta guide to get you introduced to this paradise! Thailand has a lot of different experiences to offer in its islands. When doing a bit of island hopping in the Thai islands you are sure to find a lot of different experiences to offer. Koh Lanta hits the sweet spot between crowds and remoteness, between silence and noise. Forget the western food chains, you won’t find them here (at least for now). There are some bars spread out throughout the island, but this is mainly a chill-out island. I loved the contrast between the long beaches and the jungle in the interior of the island. Even with this tropical vibe, basic services like water, electricity – and of course WiFi! – are easily available. The easiest way is to get to Krabi/Ao Nang first. From there, you can hop on a ferry or a bus to get to Koh Lanta. Both take around 2 to 3 hours. Even though there is only one ferry a day from Krabi (in the morning) and buses drop you off at your hotel, I personally think ferries are a better option. It’s comfortable – for Thai standards – and you get to see beautiful views of other islands, including the nearby Koh Jum. Plus, no one forbiddens you from sitting on the deck of the boat and put your legs to the outside – a much more whimsical ferry ride! As a tropical island, temperatures are fairly consistent throughout the year in Koh Lanta. What changes is the rainfall. It can pour unpredictably during most months of the year. 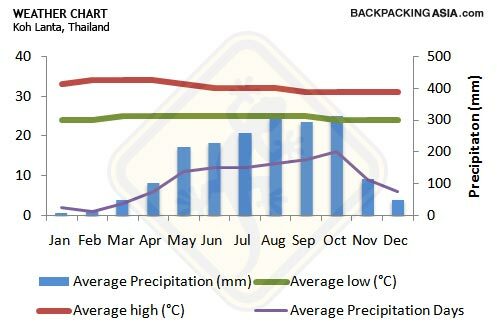 To avoid the probability of showers, the best time to go to Koh Lanta is definitely from November to April, with December and January being the absolute peak months. The weather is the driest, although it’s also the most busy period with hotels raising their prices up to 30-40%. While many bars, restaurants and transportation services can literally shut down after May due to the monsoon season, this is also when you can get the best prices. Not to mention you’ll have the island almost for yourself. An option to consider if you don’t mind the occasional downpour. Bottom line: every season has its own pros and cons. If you are going for a short period, I’d suggest to play it safe and point to go in the peak season. 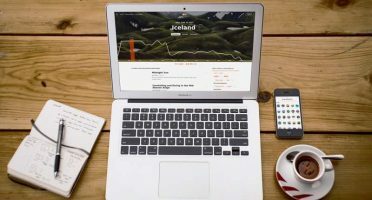 Instead, if you are planning to go for a long time and/or you are in a tight budget, between May and September can be a good bet. After all, weather is unpredictable and you might even get lucky and get several sunny straight days. Sunsets in Koh Lanta are outstanding, specially if there are some clouds in the mix. The majority of resorts face west coast, so you don’t even need to go far away. You can even make this a daily ritual during the time you are in the island. I did it. Despite of wherever I went and whatever I did during the day, at 6pm I was religiously in the same puff chair in Long Beach enjoying the show. 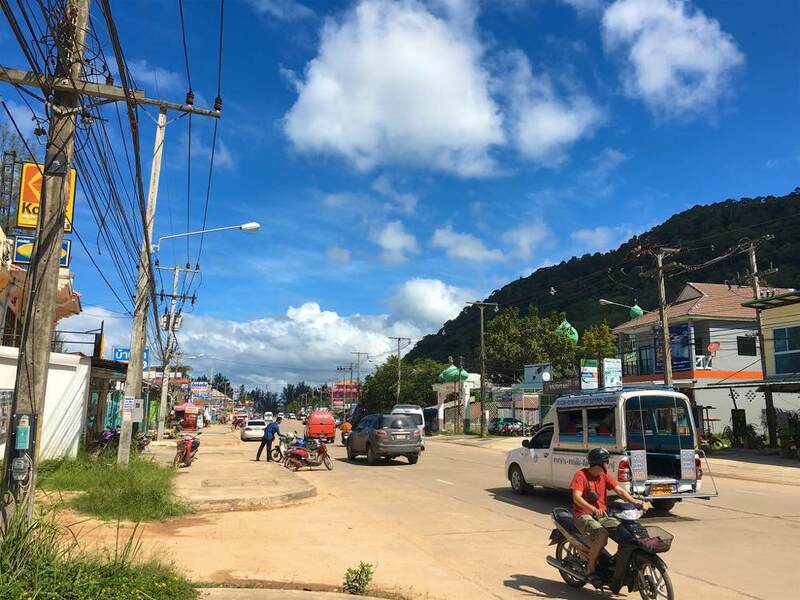 Main road in Koh Lanta. A scooter is definitely the best away to get around the island. It’s paved, it’s safe and it’s hard to get lost. I mean, there is basically one large main road in Koh Lanta. Plus, it’s cheap. You can rent a moped from many hotels and travel agents for prices as low as 200 baht/day. Pretty good price for complete freedom to explore the island! As this was one of the things I’ve already experienced in Chiang Mai, I didn’t take a cooking class in Koh Lanta. But this something you should be looking at in Thailand. In Koh Lanta, Time For Lime is the most popular cooking course. Apart from indulging in Thai food and culture in a way that is hard to beat, all profits from this lovely school go to Lanta Animal Welfare. It’s a win-win situation! Number of days to enjoy Koh Lanta: starting in 3 and tending to infinity. Seriously, it’s the kind of place you will want to stay as long as possible. 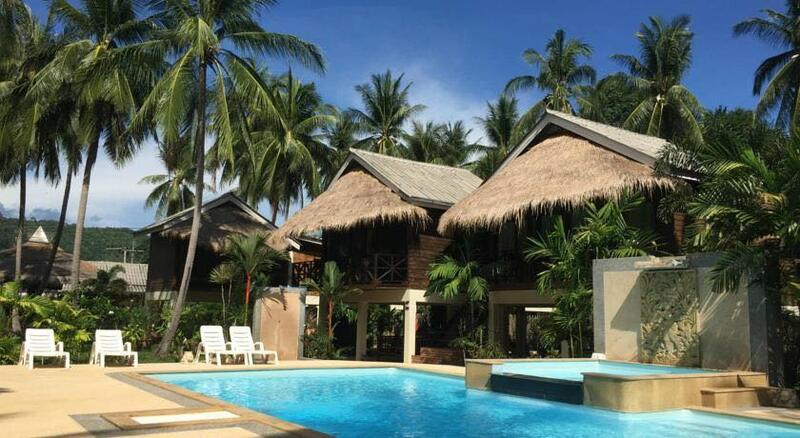 Hotels are slightly more expensive than the general Thai standards, but since we are generally speaking about resorts and bungalows, these are great value-for-money. The more you south you go, the wilder you’ll find the island which means less accommodation available. I stayed 5 nights in the beautiful Long Beach Chalet but could easily stay a few more. High-quality comfortable Thai-style bungalows just a 5-min walk from the best beach in Lanta? Heck I could LIVE there. Start your search with this shortlist of the top-rated hotels in Koh Lanta, with WiFi and swimming pool. 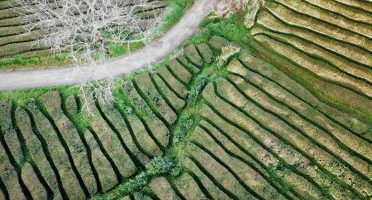 To be honest, after coming from the foodie paradise Chiang Mai – where is eating really is a experience – I was slightly disappointed with the food in Koh Lanta. Weirdly enough, there is hardly any street food available. While Thai islands aren’t the best food destinations, you can get decent healthy food at the standard-ridiculous Thai prices. Apart from the usual Pad Thai and green curry, some places serve western food to make tourists and expats feel like at home. Maang massaman (Massaman Curry): A different Thai curry dish, with clear Muslim influence. Pad Thai: VERY touristy, but delicious when well made. May’s Kitchen: Great local restaurant with cheap prices in the main road. Patty’s Secret Garden: Good mix of Thai and western food. There are other places in the beach serving decent to good food too. As a bonus, you can eat with the feet on the sand while watching a fireshow. There are also evening markets on various days around the island where you can pick up fresh fruit and vegetables. Check the Old Town on Sundays, Saladaan on Saturdays, and Klong Dao on Mondays. I absolutely love Koh Lanta. The days I spend there were of true relaxation and allowed me to unwind from other rather busy places in Thailand. In that sense, the island is a huge contrast to places like Koh Samui or Phuket, where is harder to relax. I’m unsure how long this grace period will last, especially after the bridge that connects Lanta to the mainland finish. In Thailand, nothing is ever certain. Your island paradise could turn into your island hell within the span of a single season. For now, whether you are coming with friends, partner or even alone, Koh Lanta remains one of the best islands in Thailand to visit. Make sure you drop by! 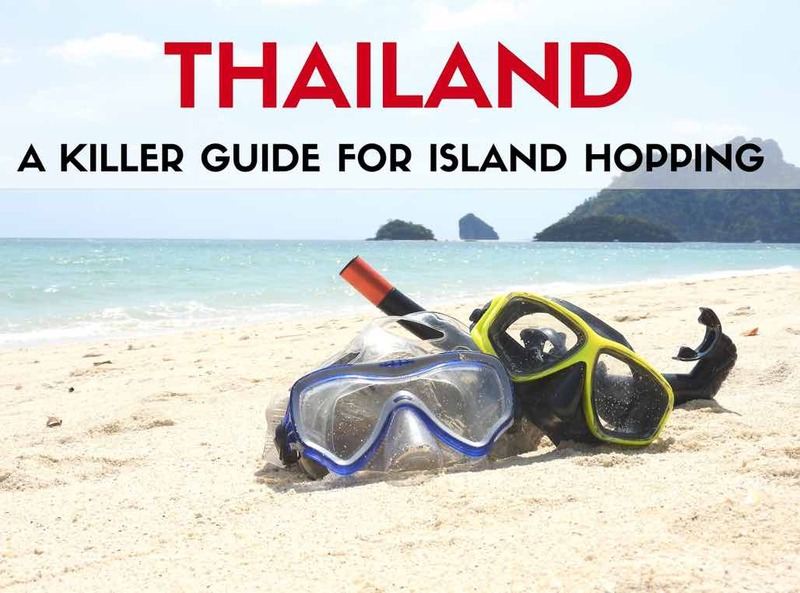 Looking to island hop in Thailand‘s beautiful islands? The Ultimate Thailand Island Hopping Guide!